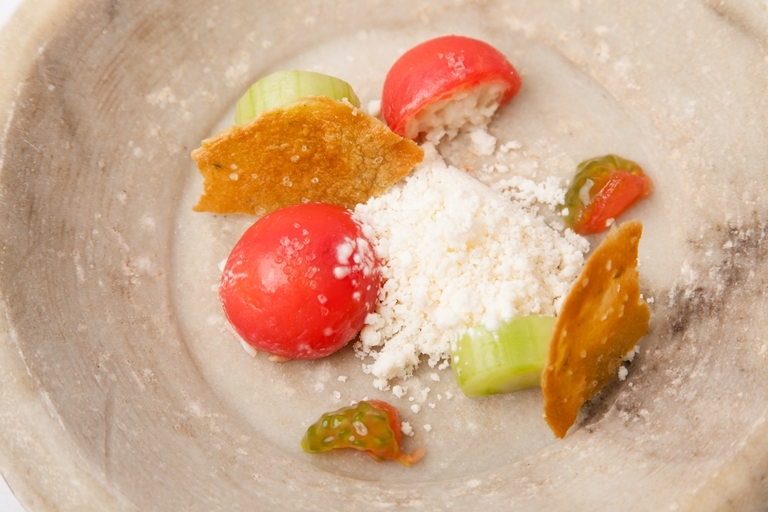 While looking distinctly elegant on the plate, this stunning crab starter by Kevin Mangeolles packs real punch thanks to a fiery horseradish granita. With the rich brown crab meat offset by the heat of the horseradish and the delicate flavour of cucumber, this beautiful compressed tomato recipe makes a wonderfully balanced starter. Remember to begin preparing this recipe a good time in advance to leave enough time to infuse the horseradish cream and allow the granita to set.